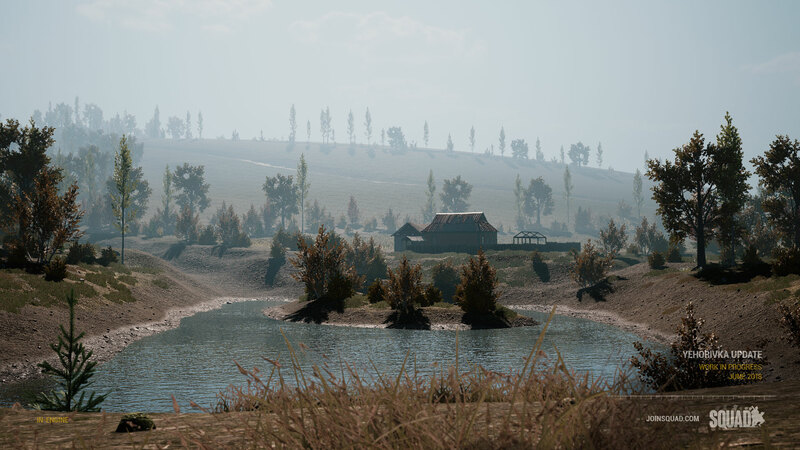 Yehorivka is undergoing a massive facelift, starting with expanding the playable area to 5x5 km, which will open up a lot of new possibilities for new layers and more variation in gameplay. 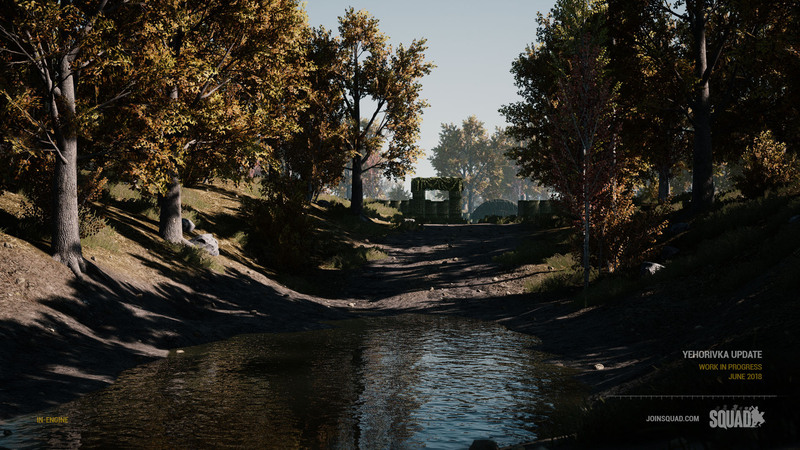 We have also changed out the grass foliage to a new rendering method which will improve performance. The Storage Site area has been replaced with smaller profile villages and hamlets instead. Everything looks fantastic. I wish suppression would obscure your vision a little more, but I could still be happy with what's presented. I'm definitely not a fan of everyone being able to revive people though. Too gamey imo. Wow! I'm really loving this recap! 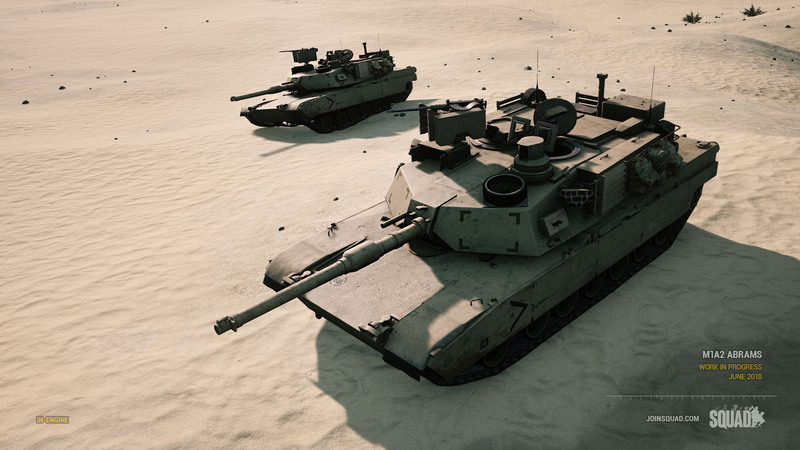 I was really surprised that we didn't see the addition of the T72B3 along side the Abrams and also no update on Fallujah. Anyways I'm loving Tallil Outskirts! It really has that Kashan feel to it. Also the new water shader really improves the water and makes it more realistic. Looking goood. 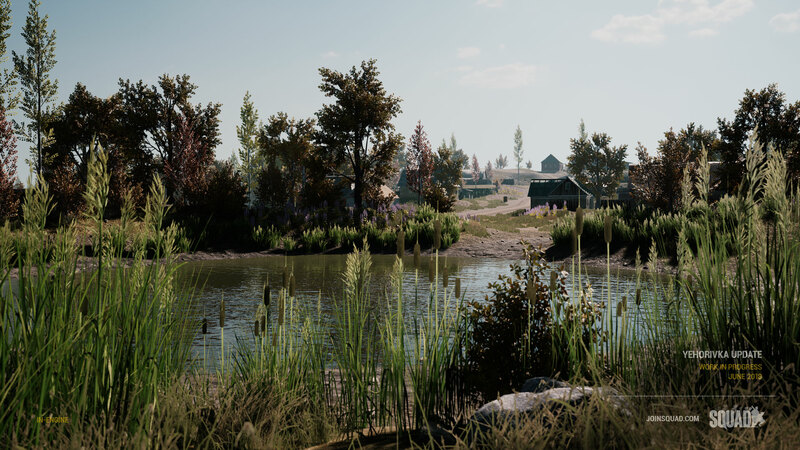 Curious just a tech artist point of view, what new 'rendering method' did you switch the Yehorivka grass to? Will some of the Bunkers be enterable? If so, that'll be awesome. 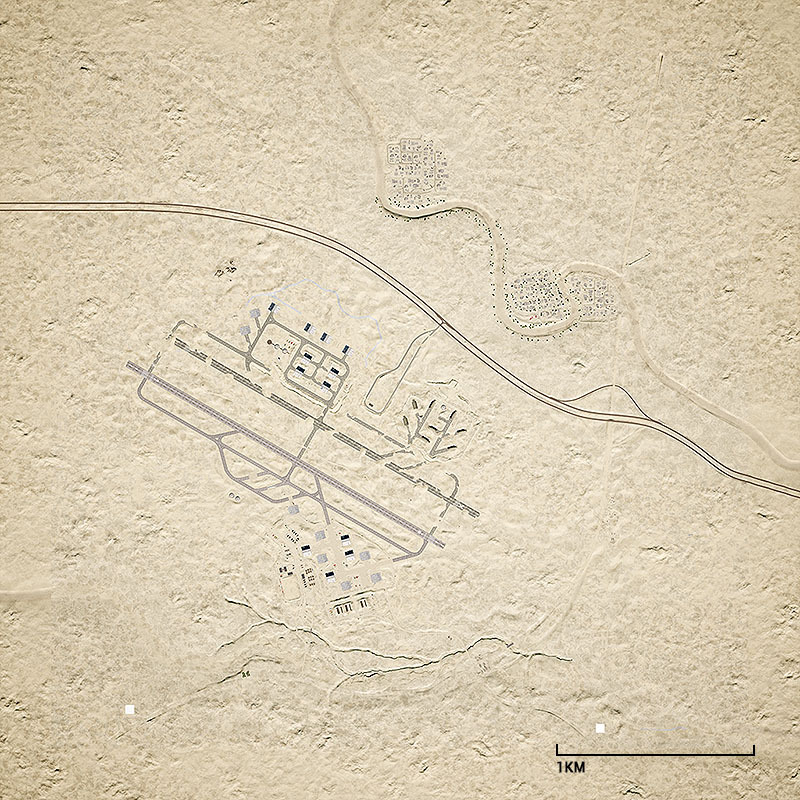 Also, it would look great and add immersion if you put some plane and heli props to hide for cover on that map. 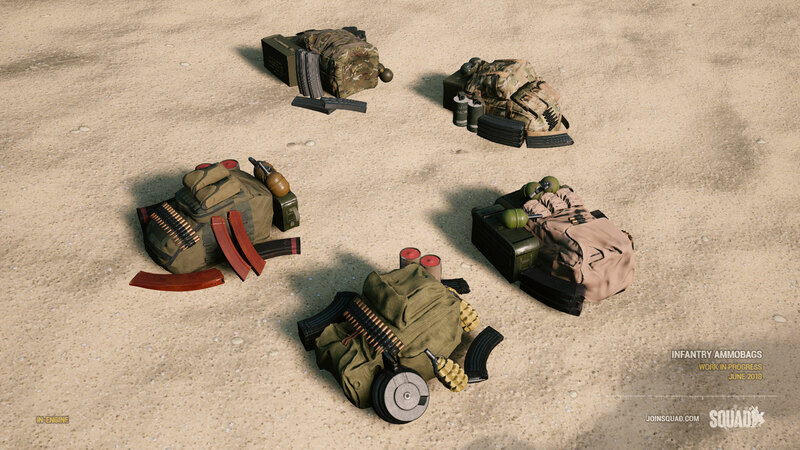 Is the HAB overrun thing supposed to supplement the existing FOB capture rule or replace it? Wave spawning on rally points! YES! I think this will have an awesome positive impact on teamwork within the squad, as will fireteams. 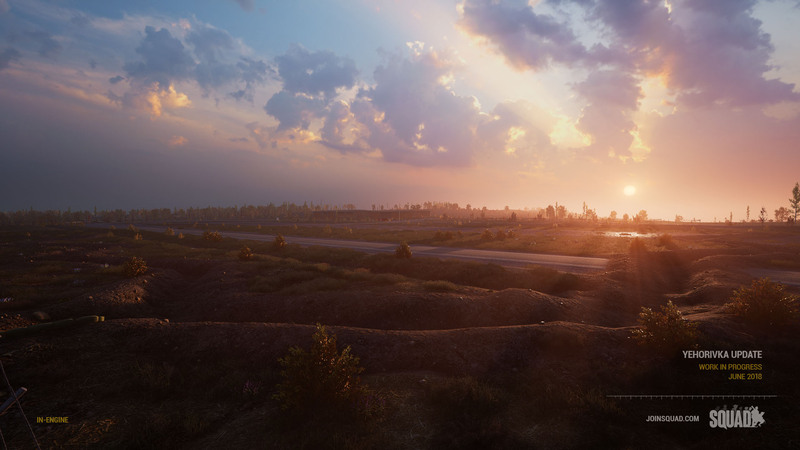 Yehorivka update and Abrams have me most excited in terms of content. Hope we see some real armor squads with the heavy metal. 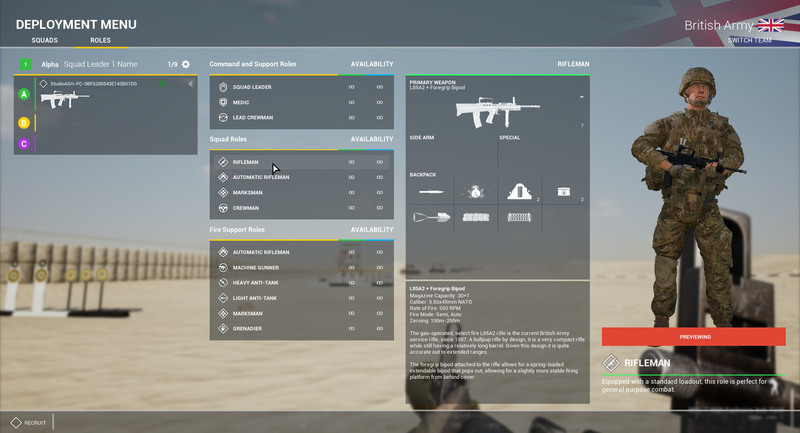 Seems like the devs are really going down the wishlist and doing a great job implementing. Awesome work! Honestly i kinda like the friendly revive thing .... That will make waiting for a medic much less annoying. Best recap ever! Thank you! SQUAD going to appears PR! how about an, "On the Way!" on top of the "up" sound effect? 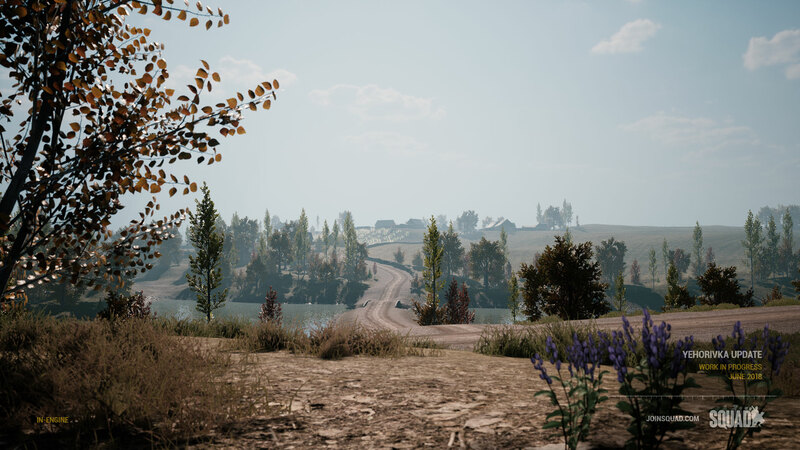 I remember Yehorivka when it first appeared, and this is light years ahead. It looks fantastic! One of the best maps of the set because the different AAS layouts almost play like different maps (I also like Kohat for similar reasons). For a while I didn't actually realize I was on the same map - there's so much area and detail. Not sure how your artists can do so much detail and such large maps (I worked on 200+ people game teams at EA, so I know of what I speak). Was wondering why the IFV/Tank weapon stabilization system hinted at in some videos recently was not highlighted here - from what I saw it was working fairly well in prototype? Perhaps you are keeping some goodies for release hype? the tweak on the rallies is much needed and cant wait to see how it works out. 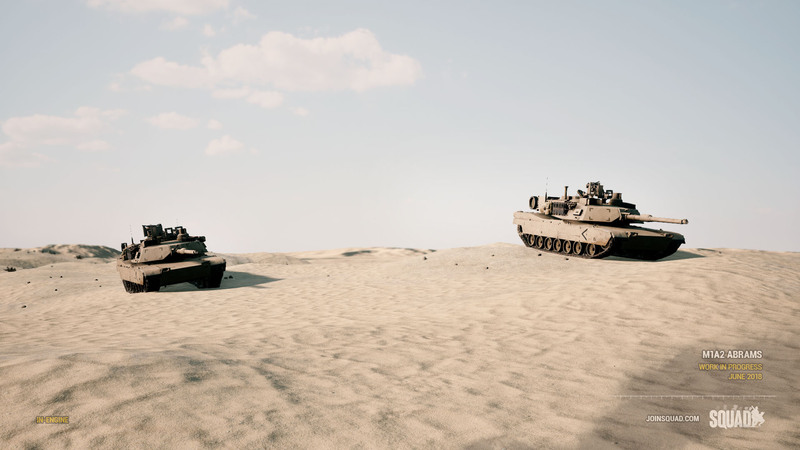 tanks...I dont do a lot of vehicle combat but they just look amazing. Awesome recap!! Just one thing... 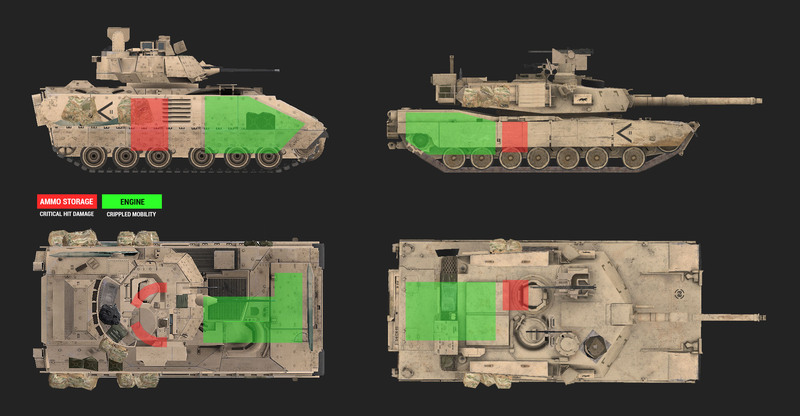 I don't know if the damage model is only an example, but, I think the ammo storage in the Abrams is located in the rear part of the turret, and it has been designed for a back blast in case of ammo ignition. 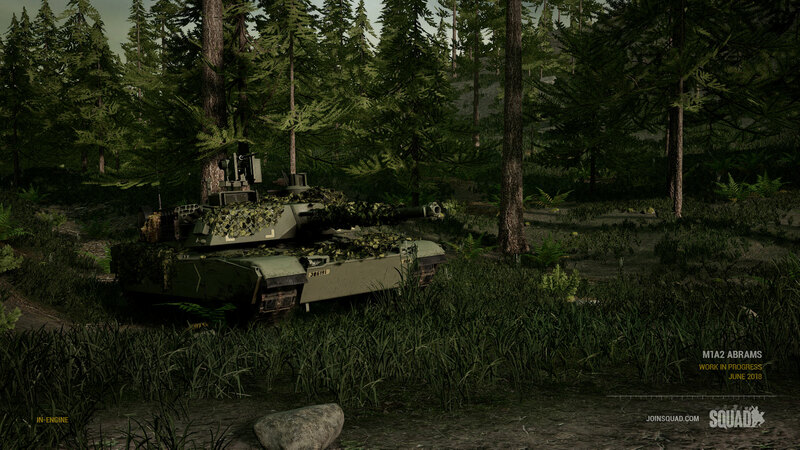 The tank will be destroyed but the crew has "high chances" to get out alive. Maybe this is a lot to implement in a game such as this one but it terms of authenticity the component hitbox for ammo should be in the rear part of the turret. Lots and lots and lots of saliva! Nice stuff there! 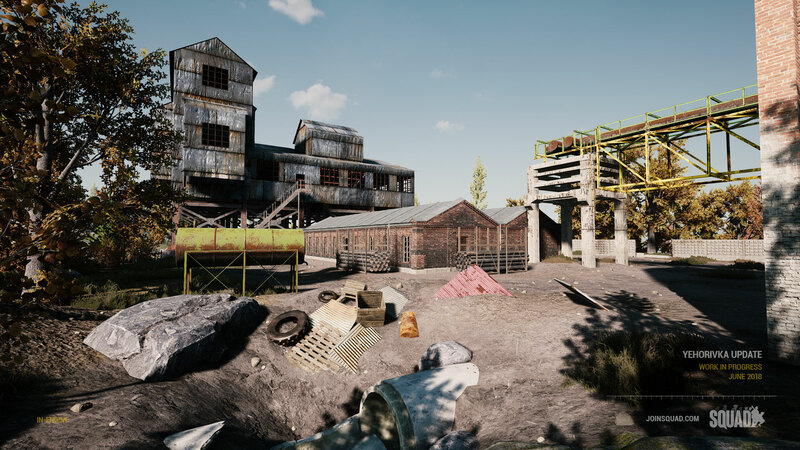 How do we acheve that quality of colors and lighting to the game like the screenshots of the new map parts? I think the logic is that this change makes the medic kit more attractive to most players. The pressure of being the only kit capable of reviving players, which can easily change the tide of a fight, is what drives players away from the role. If the kit is instead focused on bringing revived players back to full fighting strength it becomes more of a multiplying factor rather than necessity. Love the new grass foliage to a new rendering method and water shader! Is there anything in the way of optimisation? Also I found a bug last night with the NSV Heavy Machine Gun on the Russian ground forces, it was self-destructing while firing using the scope in zoom, it kinda sounded like it was shooting itself, then boom it exploded, it didn't do any damage to me either which was even more suspicious!! One of the best Recap ever! For me, v11 was just a small update ... with Brits and IFVs. 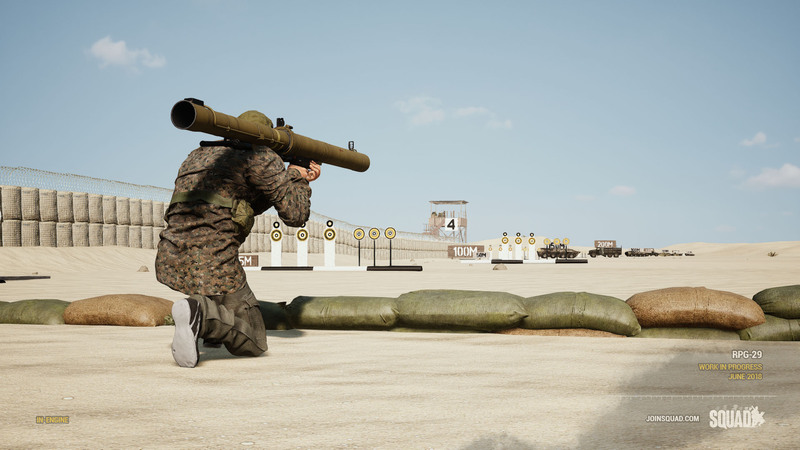 The v12 instead will bring a radical change to the game mechanics (a bit like it was the v10) and the flow of the battle ... with the changes to the revive, the mechanics of spawn and (finally !!!) with a REAL system of suppression and aim punch! Now the difficult will be waiting ... Devs, just a small thing .... before or after August? Plz !!!!! 1. I really hope the disablet spawn when enemies are around has been added to the HAB and not Radio. This is the case with the current spawntime increase. When you attack a HAB currently often the spawn time for defenders doesn't increase because they placed the radio so far away. 2. Rally wave spawns is a good idea, but if the rally still stays up forever the constant attack on defenders will still happen. Also now everyone can quickly revive SL for a new rally. 3. The risk of being revived without stamina and health and having no medic around would probaly make many people instatly give up. Also wave spawning on rallies might mean you are lucky getting in the wave that spawns in 10 sec. I really think rallies should only be up for limited time. But it will be interesting to see how it works out, when added to game or if feedback from Nordic makes them change system before we even get to test it. Where does that leave bleeding ?? so its the choice of bleeding or reviving.